"Upon Paradigm's generous agreement to loan a SUB 2 for review, I was notified that a 230lb package would be arriving at my house - a rather daunting prospect." 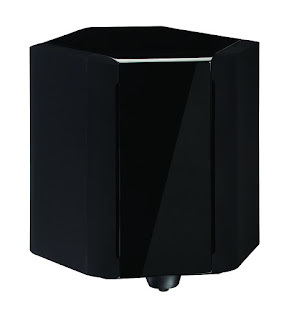 "Paradigm's Signature SUB 2 - a hexagonal behemoth of a subwoofer featuring the sort of cost no object engineering one would expect in a statement series product." of ROI out the window." "This seemed like the ideal tune for the SUB 2 given its purported 7Hz in-room performance so I turned the volume up to -15 from reference and “let her rip”. The result was shockingly good – with my walls literally flexing on the lowest frequency notes. The SUB 2 proved almost immediately that I would reach my limits long before it did, but that didn’t stop me from enjoying the chest shaking bass that the SUB 2 so effortlessly produced." "This tune was a great deal of fun to listen to as each attack felt like a visceral hit on my chest while the sinusoidal sweeps pressurized my room to levels I’ve rarely encountered before." "The SUB 2 demonstrated remarkable agility here – I assume in part thanks to the 10” drivers on board, which allowed each bass note to decay as quickly and neatly as I have ever heard in my system. The SUB 2 also didn’t overpower the other elements of the track, a testament to its capability to play both quietly and loud." "The SUB 2 reproduced this track superbly, providing a sense of tactile force with each attack of the bass line. Integration with my mains was perfect – never giving a sense of directionality or muddiness." given free rein to innovate." "...the SUB 2 blatantly demonstrated the ridiculous reserves of power the amp can produce, generating sound pressure levels far beyond my comfort zone without breaking a sweat." "Suffice to say, the SUB was able to reproduce this with plenty of power, but also a surprising degree of accuracy. When the bass hit it was both sudden and quick to decay as one would expect in the real world." "The SUB 2 is insanely expensive, unreasonably heavy, and all around ridiculous in almost every way I can imagine – and despite all that, I love it." "It is a subwoofer that throws the entire concept of ROI out the window and is a testament to what engineers can accomplish given free rein to innovate. While I certainly can’t afford one – the SUB 2 deserves to be on the short list of anyone who can." "It’s big, it’s a little stupid, and it’s the best commercial subwoofer I’ve ever encountered." Click here! to read the full SUB 2 review on HomeTheaterForum. Click here! 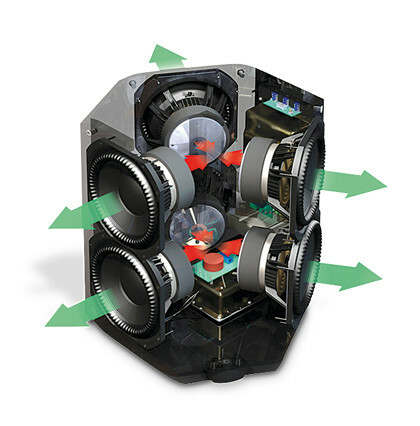 to learn more about our Signature SUB 2.